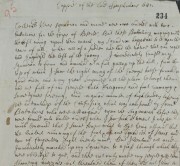 The purpose of this document collection is to allow students and teachers to develop their own questions and lines of historical enquiry on the Jacobite Rebellion of 1715. 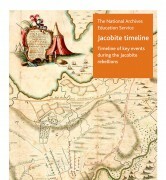 There is also a second collection based on the Jacobite Rebellion of 1745. 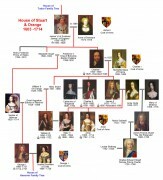 The resource includes an introduction by a historian of the period, Daniel Szechi, a family tree of the House of Hanover and a timeline all to help provide further context to the documents. Finally there is a Pinterest board on the Jacobites available which could serve as an exciting window into the topic of the Jacobites as a whole. 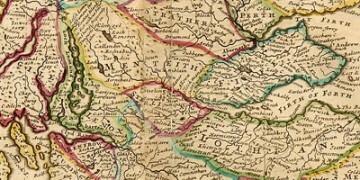 The 1715 Jacobite rebellion was the result of deep-seated political division and turmoil. 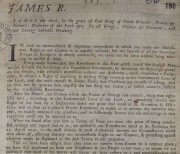 The 1688 Revolution, often called the ‘Glorious Revolution of 1688’ ended the reign of James II and Catholic line of the Stuart dynasty. 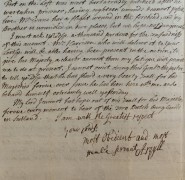 However, their supporters, the Jacobites, refused to accept this revolution or the political settlement that followed. For three generations the exiled Stuarts, the Jacobites and their European allies plotted to restore the Stuarts, so for over 70 years, the ruling government in the British Isles was threatened by conspiracies, uprisings and threats of foreign invasion. 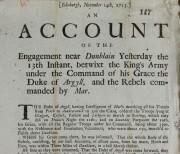 For the Jacobites, every serious crisis faced after the Revolution was a chance to restore the Stuarts, and therefore the political turmoil in England in 1714-15 seemed full of promise. 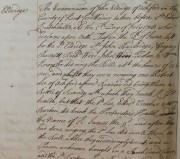 English politics had become more and more heated after 1688 as Whigs and Tories fought for power, and by 1714 extremists on both sides were secretly preparing for armed conflict in case the other party gained ground. Thus when Queen Anne died on 1 August 1714 and Georg Ludwig, Elector of Hanover, succeeded her, the Tories were outraged to find he strongly favoured the Whig party. 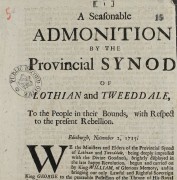 The Union of England and Scotland that took place in 1707 added to the political tension. This union had been pushed through the Scots Parliament in the hope of securing George I’s peaceful succession. There were many truly patriotic unionists in Scotland, but equally there were many other Scots who refused to accept that the combination (as they saw it) of political fixing, selfish economic deals and threats that got the union bill through the Scottish Parliament was in any way lawful. For these Scots the union was an unforgiveable betrayal of the nation. 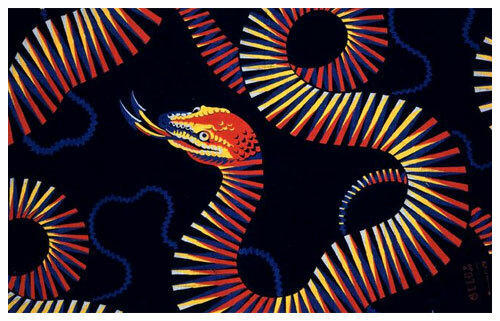 Disillusionment with the way the union worked in practice further reinforced their anti-unionism. The promised equal political partnership with the English proved hollow and the economic improvement promised at the time of the Union was very slow in coming. 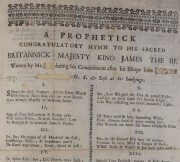 These two strands of political alienation were brought together by the Jacobite alternative King James ‘III and VIII’, the son of James II and VII. Fearful that George I’s clear support of the Whigs would mean the end of Anglican religious control in England, many Tories took to the streets. 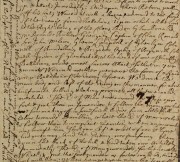 They expressed their anger in waves of rioting that rippled across England between autumn 1714 and the early summer of 1715. Meanwhile their leaders secretly negotiated with King James III for a new revolution that would put them back in power. Meanwhile in Scotland Jacobite Scots were encouraged by the disorder in England to begin secretly preparing an uprising that would restore both the Stuarts and an independent Scotland. When George I and his ministers got wind of this grand conspiracy they swiftly arrested the Tories’ leaders in England, but failed to catch the Jacobites’ leaders in Scotland. 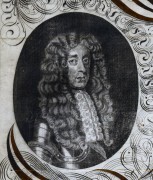 John Erskine, the earl of Mar, escaped from London to the Highlands and started a Scotland-wide rising. On 6 September 1715 Mar raised the Jacobite standard at Braemar and the ’15 began.